LONDON, November 21, 2017	(Newswire.com) - INNOVO Innovation is launching a vehicle for major corporates to deploy for themselves the five powerful driving forces used by the Tech giants to disrupt industry after industry. The vehicle is called a ‘Corporate Cyclone Joint Venture’ with INNOVO. The Tech Tornadoes create a virtuous circle of drivers that reinforce one another – a passion for innovation, a long-term strategy, vast sums of venture capital, the best technologies and best global talent. The traditional corporate, however, can face a vicious spiral downwards as Tech Tornadoes enter their industry. They lose their best talent, access to capital shrinks and so their technology becomes outdated. 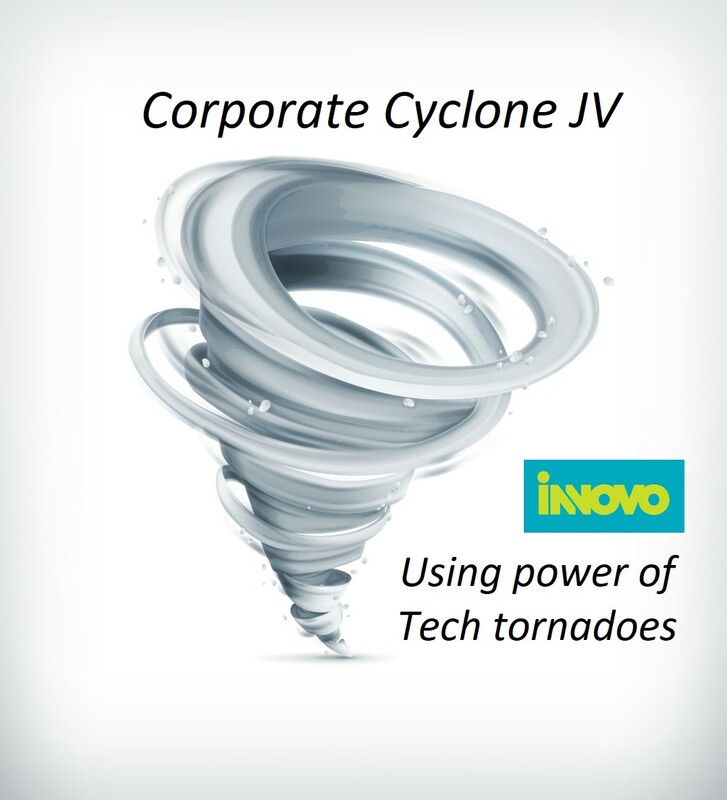 I'm delighted to announce the launch of INNOVO Corporate Cyclone JVs which enable major corporates to now deploy with us the five powerful driving forces being used by Tech Tornadoes to disrupt industry after industry. The corporate simply sets up a joint venture with INNOVO. After $50m of investment over six years, INNOVO has developed the expertise, commercial inputs and processes to offer the corporate all the powerful driving forces used by Tech Tornadoes. Each of the many JVs envisaged will have an ambitious Founder/CEO with a passion for innovation who develops a long-term strategy for the JV with the corporate. The JV as a separate company can access $ billions of external venture capital and the best technologies from INNOVO. Above all, a Corporate Cyclone JV with INNOVO can attract and reward the very best global talent. The JV is owned by the corporate, INNOVO, its talented corporate entrepreneurs and its investors. There are many new opportunities for Founder/CEOs to set up JVs which grow as fast as Tech Tornadoes. This is because the JV immediately connects the customers and established operations of its $ billion major corporate partner to the best global talent, large-scale venture capital and the latest proven technologies from INNOVO. INNOVO has access to thousands of innovation sources and new technologies which are commercialised on its B2B trading platform INNOVO Network. A stream of the most successful ones can be rapidly tested and deployed within the corporate by the talent at its JV.